Today I thought I’d pick out a slightly different set of objects to talk about, it seems like a nice switch away from what we usually talk about, architecture, craft, furniture etc. Saying that, these do sort of come under the architectural ‘umbrella’ in some ways. I love the dimensions of these objects and the fact that they’re functional, they also look great too! 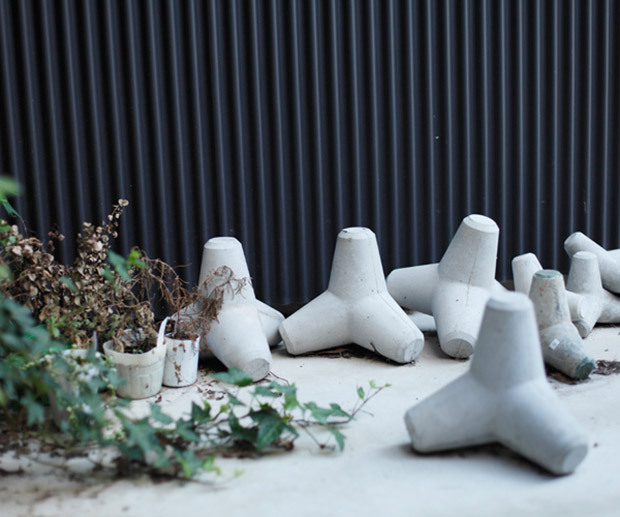 Why I say they could be placed in the architectural category is because of their ‘brutalist’ look, with the concrete and different casting joins, but also their form is pretty simple and reminds me of a modern build or Buckminster Fuller’s geodesic dome. 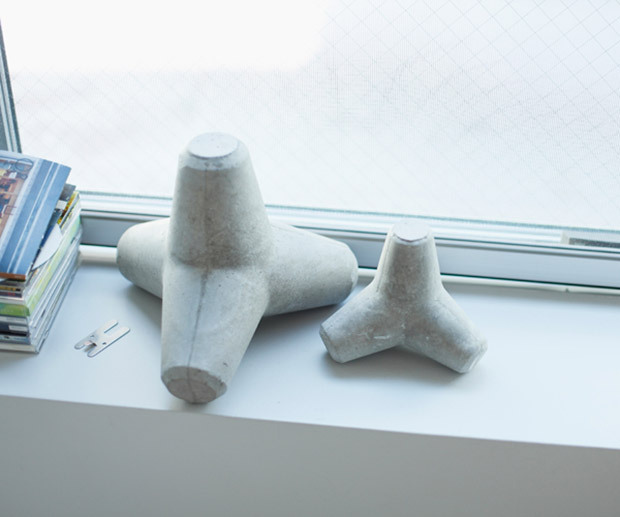 These are from a series called called ‘Tetra’, and are inspired by the Tetrapod coastal defences used widely across Japan, a four-legged concrete structure used as armour unit on breakwaters. 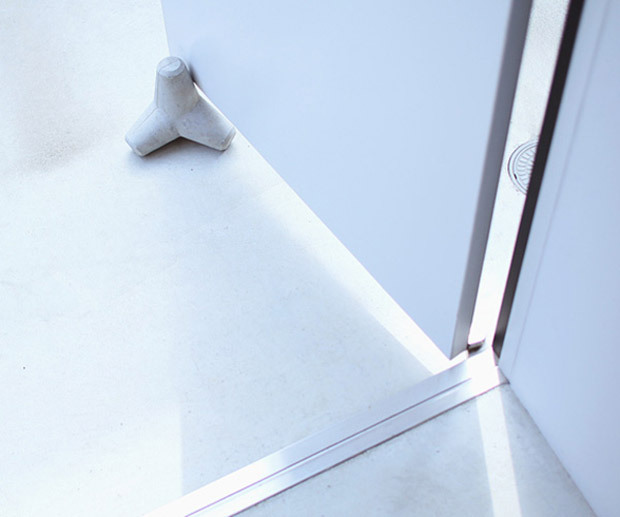 The larger versions are made to dissipate the force of incoming waves by allowing the water to flow around them, so these smaller Tetra’s don’t necessarily serve that purpose but they do offer the scenario of being good door stoppers. 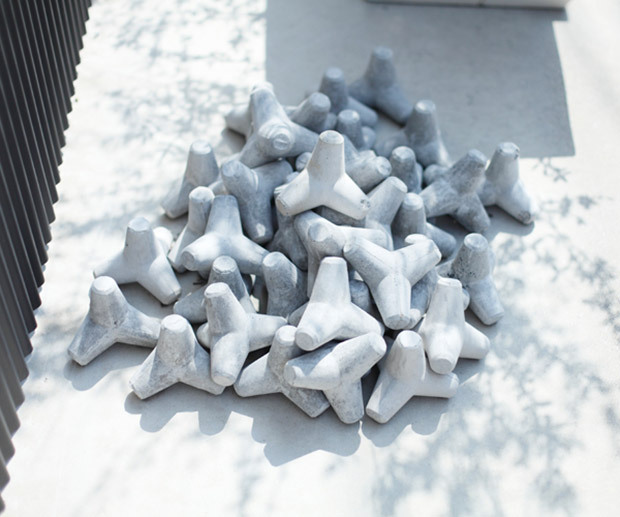 I also like the fact that these could be sculptural and placed on shelves, with different sizes and slight changes in colour due to the nature of concrete. I’m sure they would also look good scattered around the garden or outside. 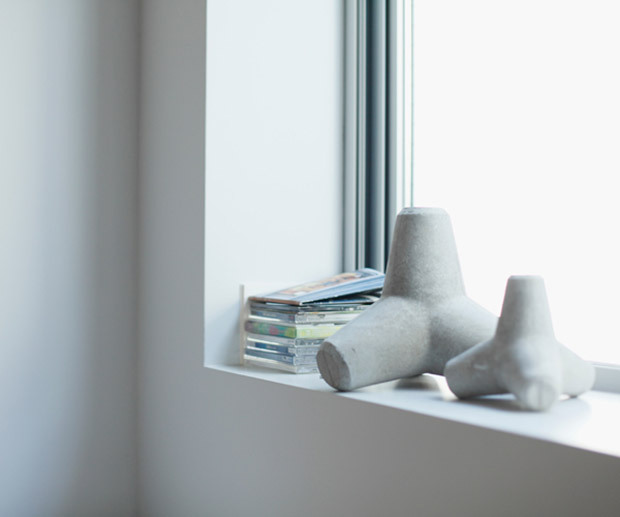 The Ulklik company was founded in 2003 by Yohei Kuwano and Koji Takahashi, Ulklik design and produce items that are inspired by both Japan and their travels abroad. 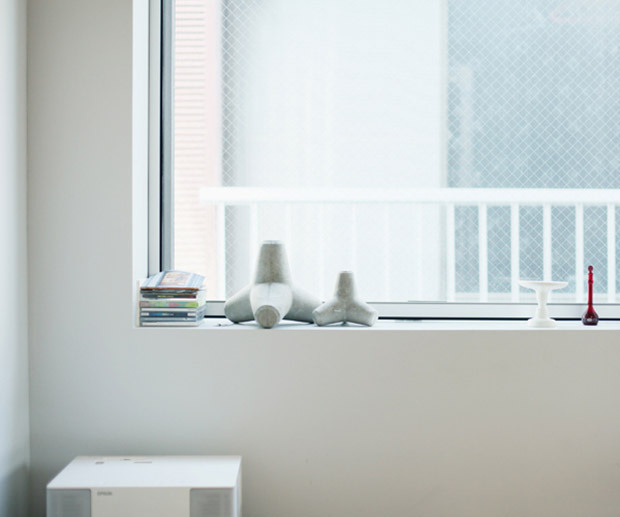 Yohei Kuwano is quite an inspiration to me as he’s designed some fantastic products that all have a minimalistic type vibe and are mostly functional. I guess it helps that he spent several years designing for MUJI, which included putting his hand to lighting, electronics, clocks and furniture, so as you can tell he’s quite skilful in a variety of fields. He now runs a design studio under his own name, and he’s been working on this particular project with Koji for quite a while now, I certainly like the vibe that they’re giving off. It’s quite different to the work that he’s created in his personal portfolio, showing that he can design a mixture of things and is not just stuck with one sort of mentality, or is one dimensional as a creative.